Squadrons. 1 Air Commando: 8 Mar 1966-20 Dec 1967. 3 Air Commando (later, 3 Special Operations): 1 May 1968-15 Sep 1969. 4 Air Commando (later, 4 Special Operations): 8 Mar 1966-15 Dec 1969. 5 Air Commando (later, 5 Special Operations): 8 Mar 1966-15 Oct 1969. 6 Air Commando: 29 Feb-15 Jul 1968. 9 Air Commando (later, 9 Special Operations): 25 Jan 1967-30 Sep 1971. 14 Air Commando: 25 Oct 1967-1 May 1968. 15 Air Commando (later, 15 Special Operations): 15 Mar 1968-31 Oct 1970. 17 Special Operations: 1 Jun 1969-30 Sep 1971. 18 Special Operations: 1 Oct 1969-25 Aug 1971. 20 Air Commando (later, 20 Special Operations): 8 Mar 1966-1 Sep 1971. 37 Flying Training: 1 Jun 1972-15 Dec 1991. 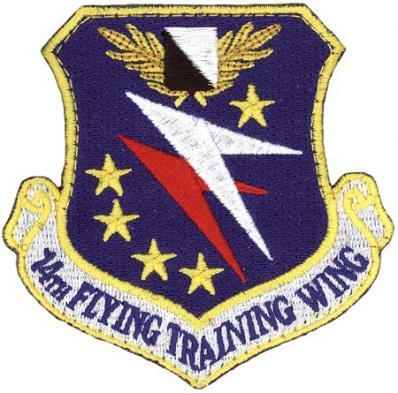 42 Flying Training: 25 Jun 1990-15 Dec 1991. 43 Flying Training: 25 Jun 1990-15 Dec 1991. 49 Flying Training: 25 Jun 1990-15 Dec 1991. 50 Flying Training: 1 Jun 1972-15 Dec 1991. 71 Special Operations: 20 Dec 1968-10 Jun 1969. 90 Special Operations: 31 Oct 1970-1 Sep 1971. 602 Air Commando: 8 Mar 1966-8 Apr 1967. 604 Air Commando (later, 604 Special Operations): 15 Nov 1967-1 Mar 1970 (detached). 3588 Flying Training: 1 Oct 1990-18 Oct 1991. Stations. Dow Field (later, AFB), ME, 15 Aug 1947-2 Oct 1949. Nha TrangAB, South Vietnam, 8 Mar 1966; Phan Rang AB, South Vietnam, 15 Oct 1969-30 Sep 1971. Columbus AFB, MS, 1 Jun 1972-. Decorations. Presidential Unit Citations: Southeast Asia, 8 Mar 1966-7 Mar 1967; Southeast Asia, 21 Jun 1968-30 Jun 1969. Air Force Outstanding Unit Awards with Combat “V” Device: 16 Jun 1967-20 Jun 1968; 1 Jul 1970-30 Jun 1971. Meritorious Unit Commendation: 1 Jan-31 Dec 1968. Air Force Outstanding Unit Awards: 1 Jan-31 Dec 1974; 1 Apr 1985-31 Mar 1987; 1 Jul 1992-30 Jun 1994; 1 Jul 2000–30 Jun 2002; 1 Jul 2002–30 Jun 2004; 1 Jul 2004–30 Jun 2006. Republic of Vietnam Gallantry Crosses with Palm: 1 Apr 1966-30 Sep 1971; 1 Jan-30 Aug 1968. Emblem. Approved on 9 Dec 1994.